Hello again everyone!! Its time to start showing you my designs. Go easy on me please, I am still a newbie in the world of polish. 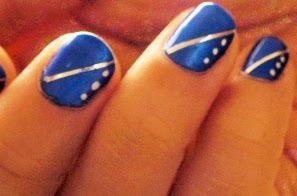 I was inspired to create this design because of the gorgeous blue of this polish. I mean have you ever seen such an electric, bright yet deep shiny blue like this? I know i haven't until this one and it was love at first glide (he he). Everything went fine at first. 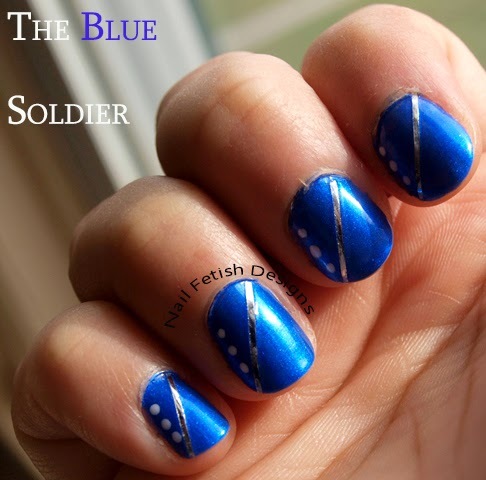 The nail polishes have a great consistency, no streaking from the blue polish and the white polish was perfect for dots BUT the stripe. That darn silver stripe!! I found that the closer you place a stripe towards the top edge of the nail, the easier the stripe will lift up. An easy fix was I applied a dot of glue to the stripes that were lifting up. USED a wooden cuticle stick to hold it down, counted to 15 then voila. ADVICE: Apply another top coat once you glue down the silver strips at the corner of your nail. This design has lasted over 4 days!!! I must give credit to the topcoats and applying them every 1-3 days. It really does help prolong the polish on your nails. Enjoy! 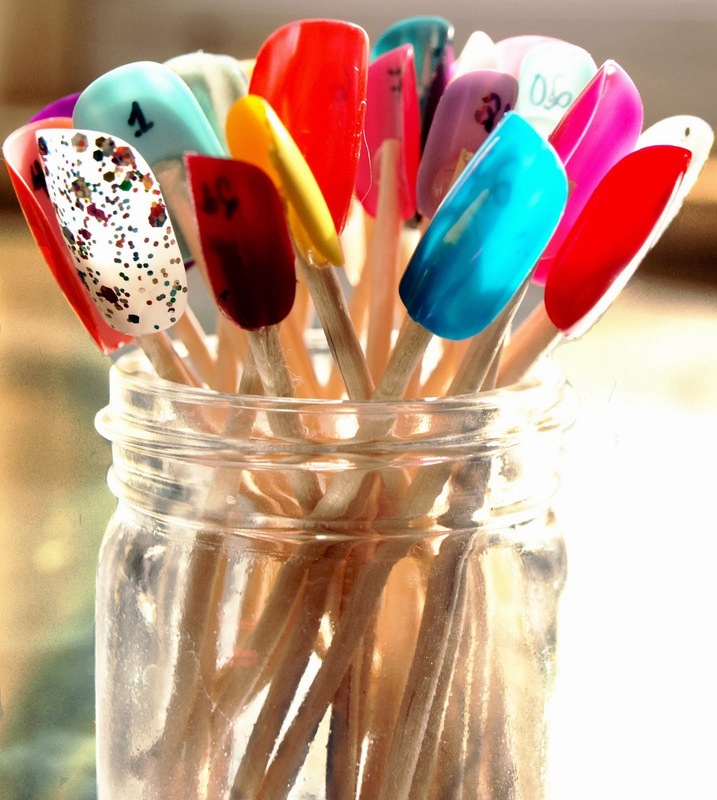 If you re-create on your nails, please comment and show us. Would love to see them. Also, experiment with colors and dots for lovely effects.